"Regarding Grantham Coates Surveyor, .... He went about the task in a very professional manner and has produced exactly what was required." As members of the Chartered Institution of Civil Engineering Surveyors and with full membership of The Survey Association, Grantham Coates Surveys has a proven track record for providing a full range of high quality survey data. 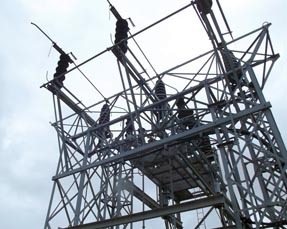 Surveys are tailored to clients' specific requirements. Please find further information detailed below. 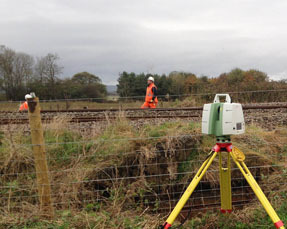 Grantham Coates Surveys are a company of experienced land, building and engineering surveyors providing detailed drawings and digital data for any situation where spatial information is required. "Fantastic survey company, plain speaking, helpful and do what they say they will do. My first choice for our survey requirements." The company is based in the West Midlands within 25 minutes of the M5, M42 and M40 motorways so is well placed for good access throughout the country. 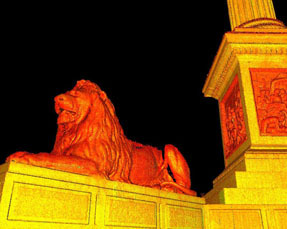 We also carry out survey projects overseas; examples include the laser scanning of historic buildings in various European countries. 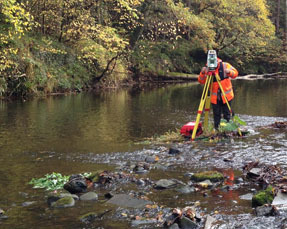 We carry out a wide range of surveying tasks, please visit our Services page for further information. Our surveyors take pride in their work and have attention to detail. "Service is always very professional and deliverables extremely high quality - not only do they exceed the needs of the design teams, but the CAD technicians prefer the deliverable format as they make their role easier. 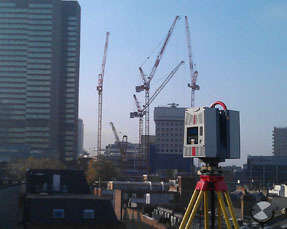 Will continue to use GCS as preferred supplier for topo survey works." "To provide clients with exactly what they need, when they need it". Grantham Coates Surveys carry out a wide and diverse range of surveying services providing digital drawings in industry standard formats. Our teams of dedicated surveyors have many years experience providing clients with quality detailed drawings and CAD files. Please see below for examples of our services. Please also see our Services page for further details. 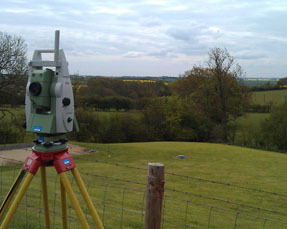 Wherever spatial information is required we shall be pleased to discuss your requirements with you.